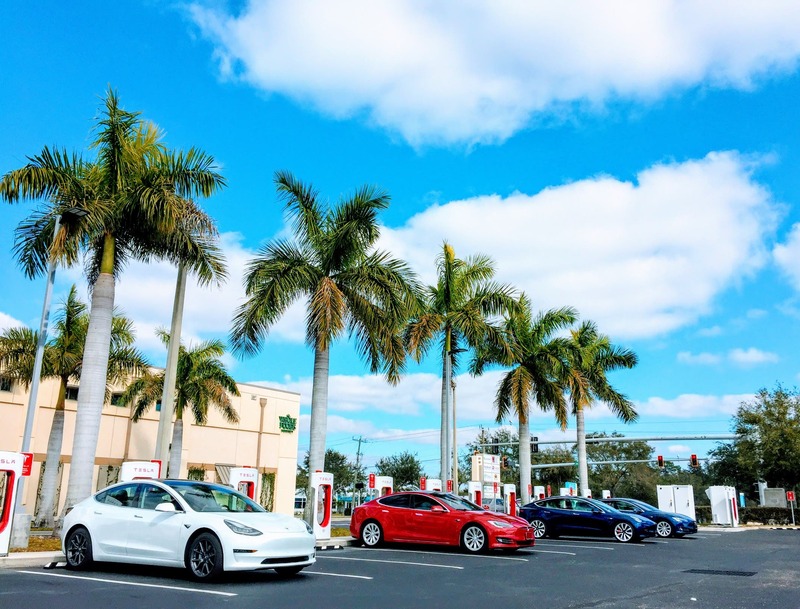 Other electric cars have their own appealing features — after all, they also attract customers. However, the Model 3 offers a tremendous combo of range, features, performance, and moderate cost. That will be even more true in the second quarter since the Model 3’s base price was recently dropped to the mythical $35,000 figure. 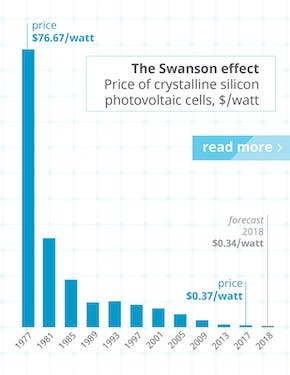 There are a few electric models not included here because the parent automakers don’t report their sales — not even quarterly sales — but I hear that they would just add a trickle of sales toward the bottom of that chart. Overall, looking just at the models in the chart, the Model 3 accounted for 60% of sales, the Model S another 8%, and the Model X another 7%. That said, the latter two are estimates, since we don’t actually know how Model S versus Model X sales broke out globally (we just have their combined sales figure) and we don’t know what portion of those were in the US. 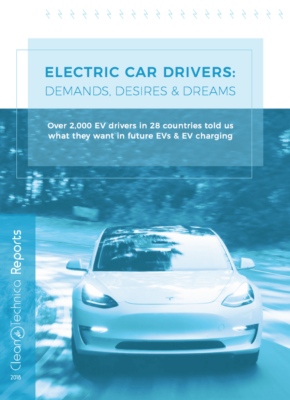 Those three Tesla models combined account for 75% of the US electric vehicle market if the estimates are accurate. That’s up from 67% in the first quarter of 2018. Aside from Tesla models, the Chevy Bolt held 11% of the market, the Nissan LEAF 7%, and other than that there’s basically nothing to mention. 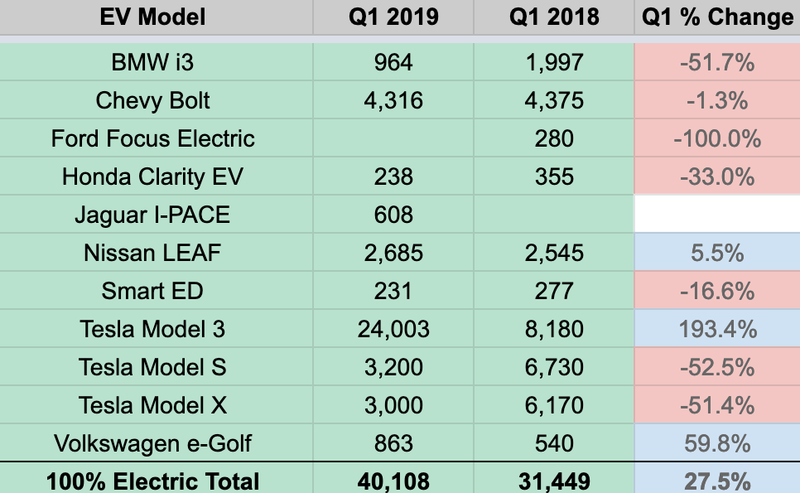 The only positive non-Tesla news in the first quarter is that the LEAF saw its sales rise 5.5% and the Volkswagen e-Golf saw its sales rise 60%.